‘Rope swinging, pond skimming, slacklining, woodworking. Into The Trees returns to the heart of the Ashdown Forest this September. 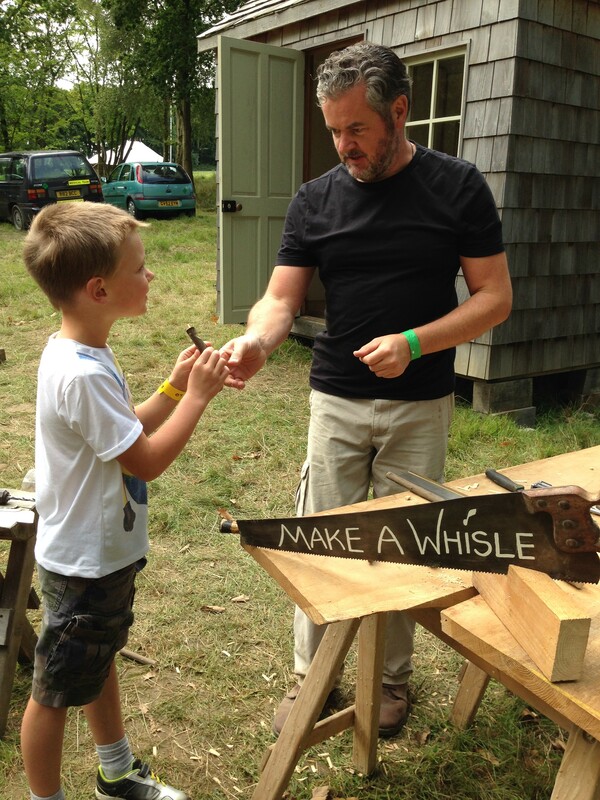 A fascinating journey into the amazing world of woodlands and forests showcasing activities and demonstrations to inspire guests of all ages. The stunning landscape of Pippingford Park provides the perfect venue for exploration and discovery. Six diverse woodland zones offer expert demonstrations to open your eyes to the way we can play, work and live in unity with nature. Enjoy the tranquility of our protected ancient woodland and the simple pleasures of spending time outdoors with your family. 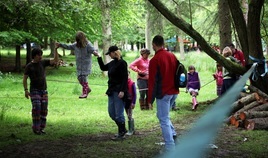 Playing in the Trees – explore the tree canopies and play in the branches with climbing and slacklining or enjoy woodland storytelling and games. The Woodland Tribe will be back with fun in the trees. Art in the Trees – wander into a world of wonder with your family. Follow the arts trail and create your own wonderful works of art. Working in the Trees – demonstrations and workshops from skilled tradespeople and traditional artists. 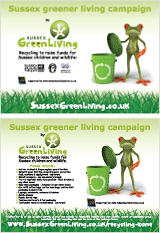 Wildlife in the Trees – Join experts from Sussex Wildlife Trust and other partners to learn more about the wonderful wildlife in the woods. Surviving in the Trees – discover ways in which we can survive in the woods with bush craft skills or take a guided foraging walk to find edible natural treats. Living in the Trees – explore unusual ways in which we can live within the trees. As with all So Sussex events, Into The Trees will welcome some of the finest locally sourced food and drink to enjoy in one of the most magical designated areas of outstanding natural beauty in the UK. Entering its third year, the team behind the sell-out Elderflower Fields festival return to Pippingford Park again with another journey Into The Trees. After so much positive feedback from previous events, the award winning formula of adventure, discovery and inspiration will encourage even more generations to spend time outdoors. ‘Great location and fun event with super atmosphere.